Perennial of the Year 2017! Commonly known as Milk Weed, these bright orange, fragrant flowers will attract butterflies and other beneficial insects. They require excellent drainage and full sun to thrive and are slow to emerge in spring. 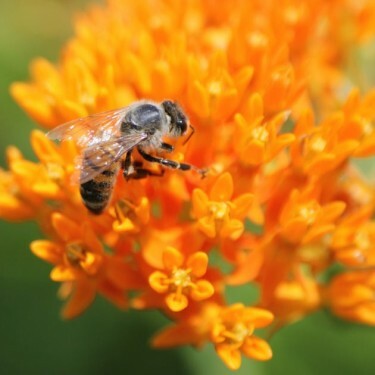 Part of the Milkweed family, Asclepias tuberosa is native to Ontario and Quebec and perfect for the perennial garden. Despite the fact that its foliage is very slow to emerge in the spring, it is one of the most striking of all wildflowers and its brilliant orange flowers appear in the hottest part of the summer. Very hardy, it does well on medium to very dry soils but will not grow well on poorly drained soils. The root was widely used by Indians and pioneers alike to treat bronchial and pulmonary disorders. 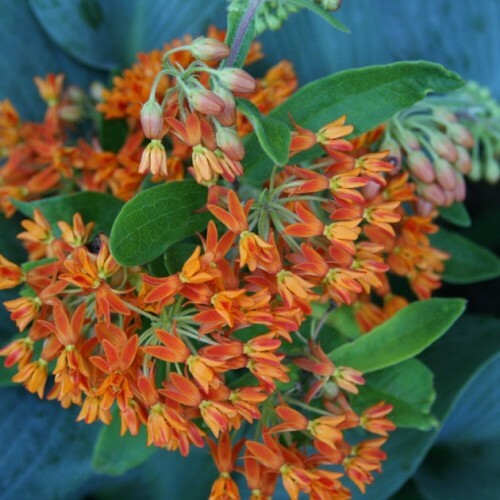 The flowers are very ornate and will draw Monarch Butterflies to come and feed on the leaves. The Monarchs Butterfly's incorporate some of the toxins in the leaves into their bodies and this makes them taste bad so that bird predators will leave them alone! 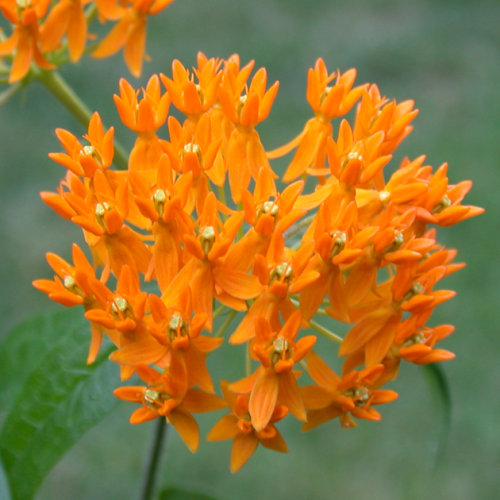 Asclepias tuberosa makes a wonderful cut flower and its seed pods are valued in dried flower arrangements.